Alex Stamos at a Senate hearing in Washington, DC, in 2014. 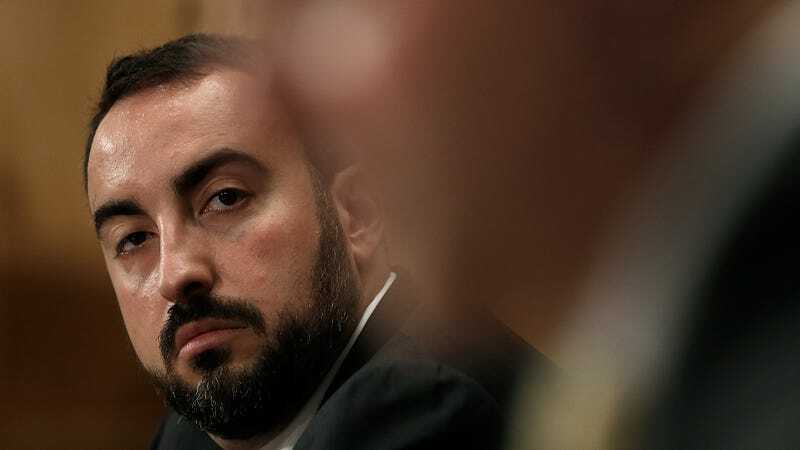 Facebook’s departing chief information security officer Alex Stamos, whose upcoming exit has been known for months, wrote a note to staff in March amid the Cambridge Analytica data-sharing scandal urging them to reconsider the site’s approach to privacy, BuzzFeed News reported on Tuesday. News of Stamos’ departure originally came alongside reports that he had urged Facebook management to take more seriously that nation-state actors might abuse the platform to spread misinformation, such as what U.S. intelligence agencies allege was a sophisticated Russian plan to spread propaganda before the 2016 elections. For months, the site tried to downplay the Russian effort on Facebook—with former Facebook data analyst Tavis McGinn telling the New York Times the brush-off was in part to protect the image of executives like CEO Mark Zuckerberg and Chief Operating Officer Sheryl Sandberg. Stamos’ note could easily be viewed as a prelude to the aggressive apology tour the company and Zuckerberg himself launched this year. That’s entailed endless promises of systemic change and some increased transparency, but to also tweaks around the margins mixed with a very obvious longing that everyone just please move on from this mess already. Though markets already believe the site intends to tackle user concerns about privacy and propaganda seriously, judging by the company’s booming value, Facebook still faces multiple federal investigations into its handling of the Cambridge Analytica scandal and possible record fines. Stamos’ full memo is available at Buzzfeed News.